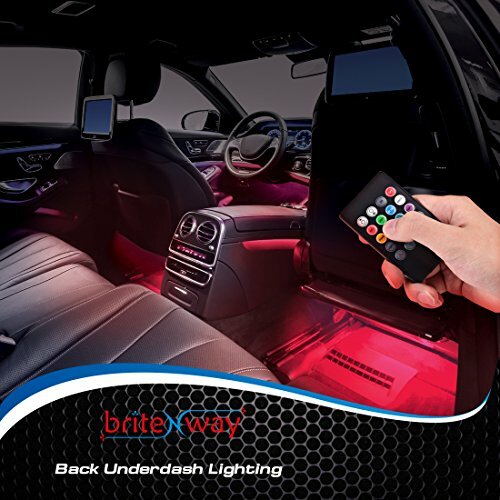 Easy to install and effortless to control, our LED Underdash lights combine quality, affordability and user-friendliness, adding an impressive layer of customization, instantly revamping your car’s interior. 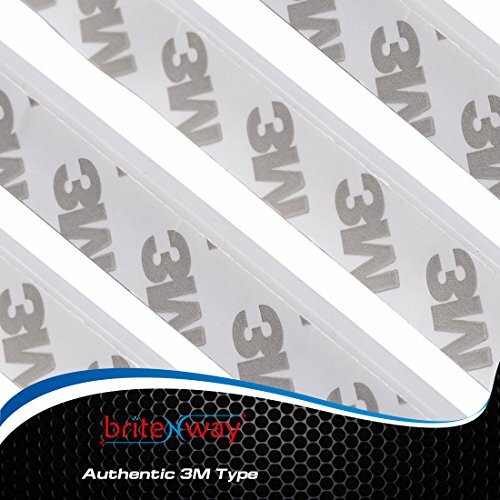 Introducing The Best Car Interior LED Lighting Strips To Ever Hit The Market! 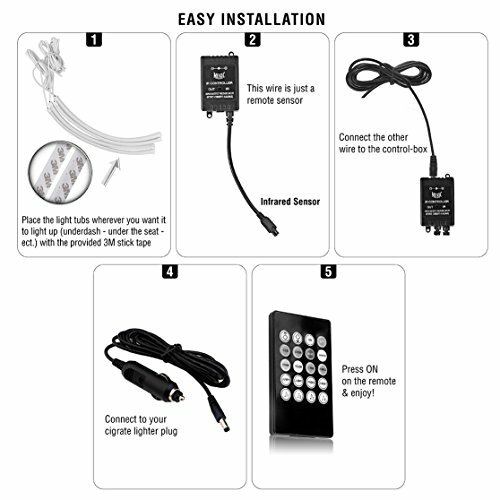 Painless Installation: 3 STEPS, NO re-wiring needed! 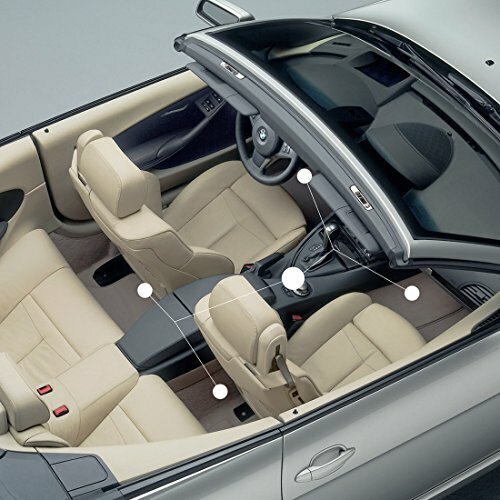 Wireless Control makes your car an entertainment center during outdoor parties! Sound Activation turns your car into a club on wheels! Place the tubes on your dashboard, on either side of the middle console to cover the back floor, inside your foot well or under your seats! 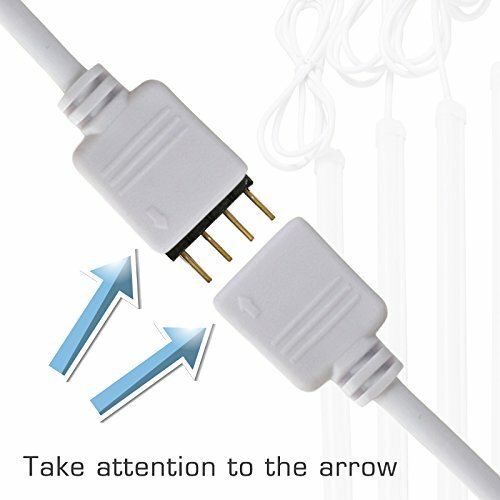 Read through installation instructions prior to LED light strip setup. Remove battery cover before using the remote. Remote should ALWAYS point towards the receiver box. Kindly place the sensor ON or NEAR your car’s speaker. 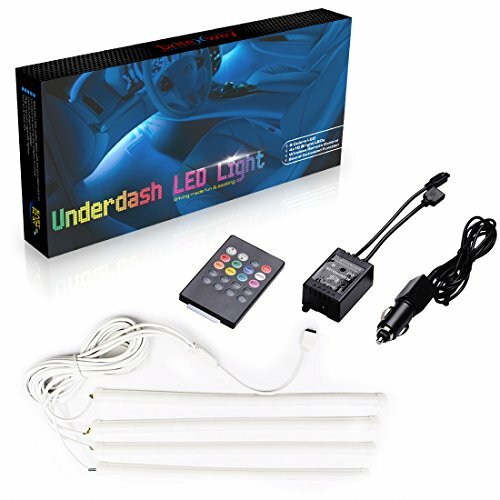 Our Underdash LED Lights Are Going FAST At This Price! Click Add To Cart NOW!AMAZING LIGHTING EFFECTS: Control your lighting strip’s brightness and select between three flashing modes, including Strobing, Fading, Random and Chasing Effects, to make each ride an unforgettable one! Effortlessly adjust flashing speed and make heads turn in awe, everywhere you’re driving through! LIFETIME WARRANTY: Your satisfaction is our top priority. We are take great pride in the quality of our LED underdash lighting kit and we are certain you are going to enjoy fun-filled car rides in style, accompanied by our amazing LED lights, FOR LIFE! 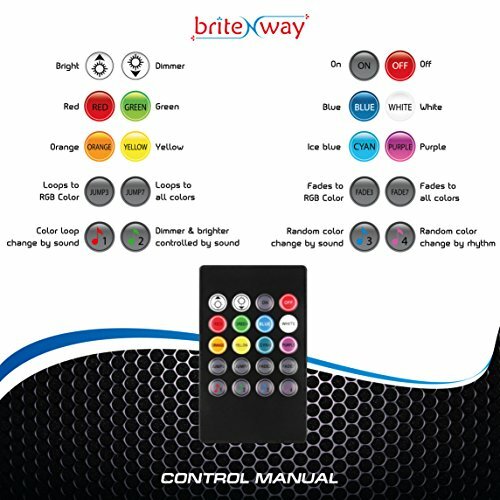 Simply register your product on our website and gain lifetime technical support by briteNway’s dedicated team of experts. 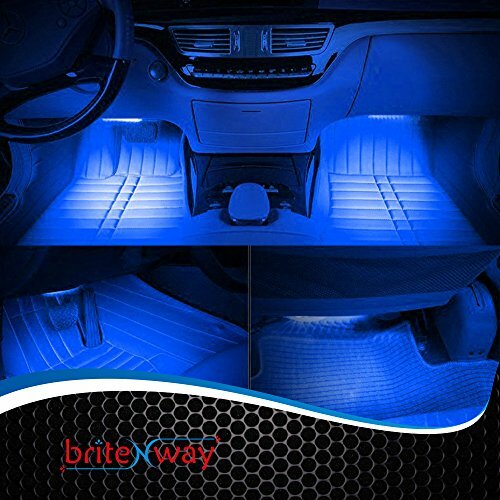 Purchase Now The Best Car Interior Underdash Lighting Kit On Amazon!